Game play on the card is fairly standard stuff. You have to scratch nine panels to reveal the hidden symbols and if you match three symbols you'll win the amount shown. Who Wants To Be A Millionaire first aired on British TV in 1998. Since then ‘Millionaire' has been shown in 81 different countries, including Afghanistan, China, Peru and Vietnam to name just a few. The show's popularity hasn't diminished over the years and even today it continues to be shown in 39 countries. 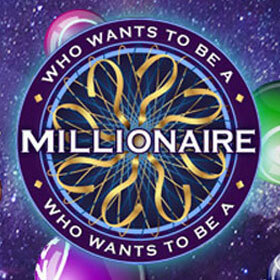 If there was ever a game show ripe for conversion into a scratch card then ‘Who Wants To Be A Millionaire' is it. All the elements that make a successful scratch card game already exist in the TV show. In fact, I'd go so far as to say that this is an open goal in terms of producing a compelling card that punters would love to play. Thankfully, the game delivers on all fronts. You can choose from a wide range of stakes with corresponding jackpots. 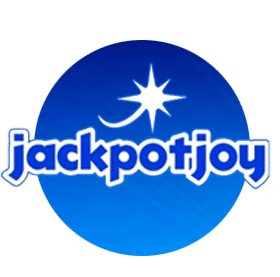 So if you play for 10p you can expect a maximum payout of around £3000 and if up the ante to £1 per card and you will be looking at a potential jackpot payout of £30,000! Go bonkers and splash out £5 and you could be walking away with a massive £150,000 cash prize. Game play on the card is fairly standard stuff. 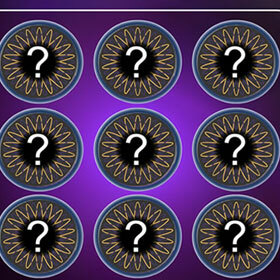 You have to scratch nine panels to reveal the hidden symbols and if you match three symbols you'll win the amount shown. I played the game for half an hour and won £180! My biggest win was £125 and I also had a few smaller wins of £5 & £10 too. I enjoyed playing this card at Ladbrokes and I was able to take advantage of their welcome bonus which gave me plenty of bonus cash to get playing with. 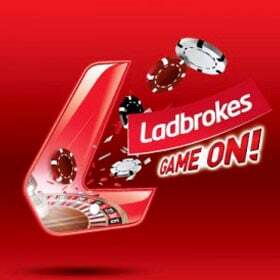 You don't need to phone a friend or ask the audience to know that the New Customer offer at Ladbrokes is winner for everyone.